Thank you for the detailed update and explanations. Can you provide the actual dates the A2J001 through A2J005 took place? Forgot to ask in my last post – can you tell us the date E10001 was removed and re-installed on the test stand? Thanks again! Cool video. Will new high altitude engine test facility be ready in time to use for your J2X project? The engine was physically removed from the stand during the last week of August and was returned, ahead of schedule, just this week. Test Stand A3, the altitude-simulation stand, could be available to support J-2X development. Whether or not its usage is the most effective and efficient path is not entirely clear at the moment. With the formal announcement this morning of the Space Launch System, we will have to reevaluate our engine requirements and development plan. Very good! Congratulations on the testing status. I remember the early days of testing on the SSME where there were some bad days during testing! 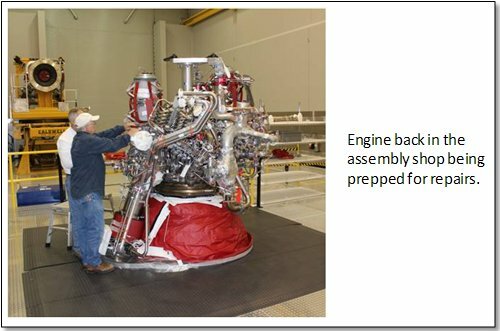 >>>>>>>>> Am confused – https://www.nasa.gov/mission_pages/j2x/j2x_ignition.html has “NASA conducted a combined chill test and 1.9-second ignition test July 14 of the next-generation J-2X rocket engine” and you have them listed separately. Could you please explain. >>>>>>>> Do you have the date of when work started (for removal) and ended (for re-install)? Great Job guys – Back about 1965, I was assigned to monitor a few redlines for the first J2 engineering model. A redline was crossed so I hit the kill sw during the first test of the J2 at NAA S&ID SSFL’s Coco test stand A1 (the Battleship). That was the last time they allowed me to monitor charts during testing. It’s just a matter of semantics. In truth, we do a chill test before every hot-fire, we just don’t call it that since it’s just part of the process for doing a test. They tied the NASA annoucement to the burp test and said that it was a chill and ignition test. It was. That was a true statement. But the chill part was a repeat of the first chill test A2J001. The public affairs folks didn’t release anything about the first chill test since, well, metal getting cold is not especially exciting (particularly if the test goes well and there are no unforeseen leaks and such). In terms of getting the engine out of the stand and reinstalling it, either one takes a day. But, okay, that’s both the truth and an outright lie. 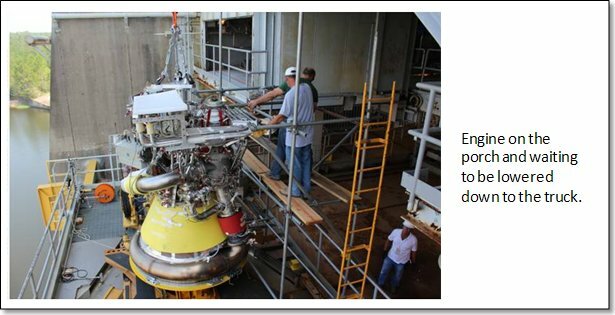 Physically unbolting it, easing it down on the engine installer, loading it on the truck, and driving it to the assembly area can all be done in a day. That part is true. But safing the engine, drying the engine, disconnecting everything in an orderly fashion takes about a week. So we tested on the 17th and about a week later, after doing all these things, we physically removed it. Getting it back in and getting it all hooked back up takes about two weeks all together. 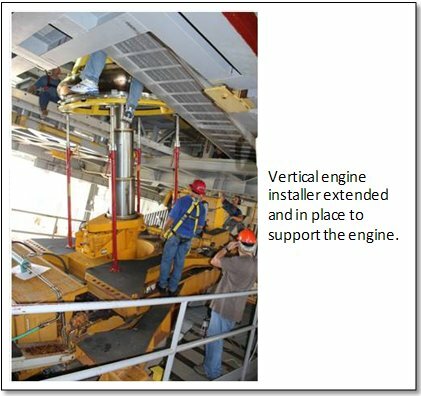 Yes, the physical installation only takes a day, but all of the fluid/gas connections have to be reestablished and every single one of those connections needs to be checked for leads. Then all of the electrical connections needs to be reestablished and every one of those needs to be checked out to make sure it’s operational. Given how much instrumentation we have on this development unit, that last part can seem like a mountain of work to accomplish. So, we drove the truck out there and jacked the engine back up into the test position just this past Monday the 12th. From there it will take about two weeks to get everything hooked back up. 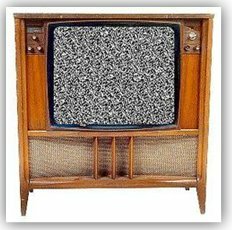 Just read the SLS synopsis. Having an application for the J2X must be good news.